In our salt water swimming pool. 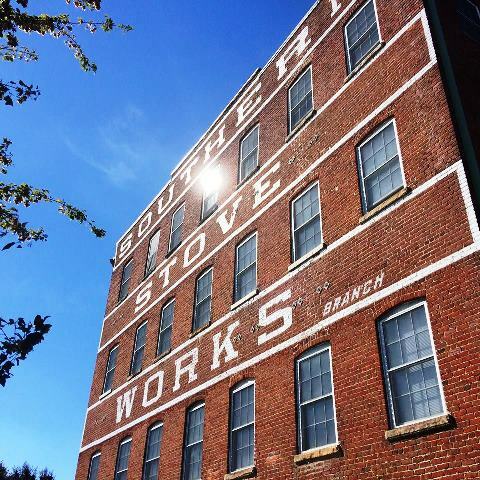 The historic Southern Stove Lofts community is located at the north-east corner of Hermitage and Leigh Street, in Richmond. Located just blocks from the Fan proper, vibrant Boulevard establishments and the Redskins training field, we offer a state of the art apartment community accommodated with luxury amenities. Our apartment homes range in size from studios to 1, 2 and 3 bedrooms. Each has their own features that make them unique offering a variety of layouts including garden and loft styles. We have adequate gated off street parking on site for all residents. Among our amenities are a salt water swimming pool and relaxing jetted tub, a club room with big screen television and pool table, a fitness center and built in surveillance cameras throughout the entire community. Some of the unique details included in these beautiful apartment homes are imported granite counter tops, ceramic tile, industrial stained concrete, eco-friendly bamboo wood floors, full size stacked washer and dryer in every apartment home and modern kitchens equipped with stainless steel appliances. We include free internet and basic cable. We have solar panels on our roof to help offset greenhouse gas production; on sunny days we return energy to the grid after running some sections of our community. 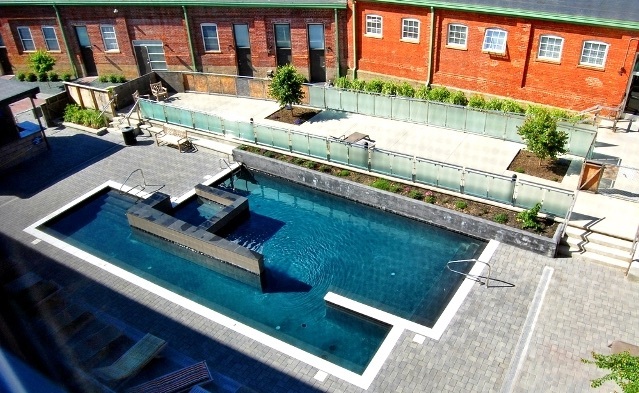 Come be a part of what has been described as one of Richmond’s most unique and historic apartment communities. With no two apartments being alike, the perfect one is waiting for you. From I-95/I-64, take exit 76B towards Belvidere. Turn right on Belvidere and right onto Broad Street. Go past the Siegel Center. Turn right on Hermitage. We’re ahead on the right. Or, from Monument Avenue, turn north on Meadow, which becomes Hermitage. We are at the north east corner of Hermitage and Leigh St., two blocks north of Broad St.